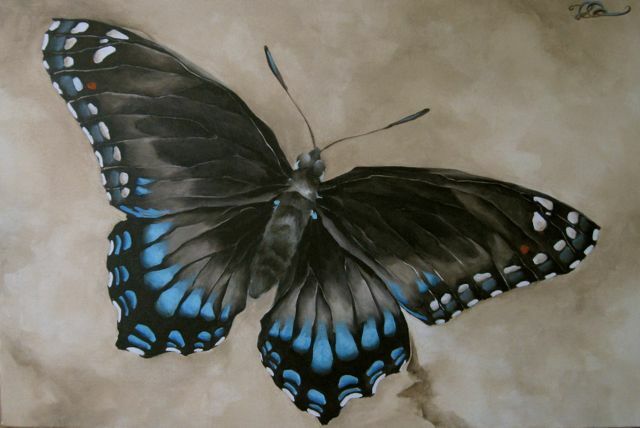 This lovely black and blue butterfly is a mimic of the poisonous pipeline swallowtail butterfly. Mimics are species that have evolved to resemble other species for protection. In this case, the red spotted purple's resemblance to a poisonous butterfly makes it less likely to be eaten by birds.